No region in the world has as strict and comprehensive animal health and welfare legislation as the European Union. The plight of animals in human care is rightfully given considerably attention by consumers, politicians and researchers in Europe. The members of the European fur farming community are subject to the following legislation at European level. In addition, further national legislation is in place in a majority of the fur producing countries in Europe. Council Directive 98/58 (EC) of July 1998 lays down the minimum standards for the protection of animals bred or kept for farming purposes including fur animals. Member states may however, maintain or apply stricter provisions if these are otherwise in compliance with EU’s constitutional basis. In addition to the European Convention for the protection of animals kept for farming purposes, specific welfare guidelines for fur farmed species have been adopted. These recommendations concern the human-animal relationship, health, management, housing systems and the animal’s biological needs. The recommendations were adopted by the Standing Committee on 22 June 1999. An important part of any animal welfare assessment, the EU has decided that all EU member states should have a code of practice for the killing of animals. The European fur sector has developed a code of good practice for carbon monoxide and carbon dioxide euthanasia for mink and a code of practice for the electrocution of foxes. The transportation of animals is one of the most important concerns when it comes to animal welfare. Regulation EC 1/2005 overhauls existing EU rules on animal transport, defining the responsibilities of all subjects in the transport chain to effectively enforce the new rules. The European rules equally apply to the fur sector. 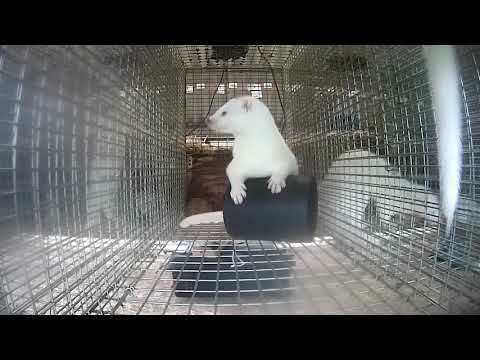 Nevertheless, transportation of fur animals is a very rare practice. In general, the animals are – unlike food production animals – killed directly at the farms. An inevitable transportation occurs for breeding purposes but this applies to less 1 % of the farmed fur animals. In May 2013, the European Commission presented its proposal for a Regulation on Animal Health. The new animal health law is summing up all existing legislation on animal health and adopts it in a “single regulatory framework for animal health”. It aims to have greater focus on incentives than penalties, consistency with other EU policies and converging to international standards. The new law contains more than 60 basic directives and regulations, some of them adopted as early as 1964. The aim is to provide a single regulatory framework for animal health; setting basic principles for animal health, providing health rules for animal movements and movements of animal products, disease control measures, ensure conditions for early detection, disease notification, and surveillance including the provisions for the services in the Member States. The new animal health law is also linked to the proposal for a new Regulation on Official Controls. Revising the existing rules on official controls, the objective of the proposal is to simplify and clarify the legal framework applicable to official controls, promote an integrated approach to official controls across the entire agri-food chain and ensure that Member States appropriately resource control authorities through fees charged on operators. Since 2001, all the rules on production, marketing, distribution and use have been consolidated in a Veterinary Medicines code (Directive 2001/82/EC of 2001), followed by Regulation (EC) No 726/2004. A number of problems to this code was later recognized by the Commission. These problems were linked to the availability of veterinary medicinal products, the use of veterinary medicinal products in species for which they are not authorised, and disproportionate regulatory burden hampering innovation. It is also important to note that this code was unable to clarify the fundamental differences between veterinary and human medicines. Consequently, the European Commission launched a proposal for a single and fully comprehensive regulation on veterinary medicinal products to revise the previous legislation. The Commission’s proposal in particular aims to increase the availability of veterinary medicinal products, reduce administrative burdens, stimulate competitiveness and innovation, improve the functioning of the internal market, and address the public health risk of antimicrobial resistance. Feeding is governed from the Regulation (EC) No 1831/2003 on additives for use in animal nutrition. The purpose of this Regulation is to establish a pan-European procedure for authorising the placing of animal feed products on the market, and to lay down rules for the supervision and labelling of feed additives and premixtures in order to ensure a high level of protection of human health, animal health and welfare, environment and consumer protection, whilst ensuring the effective functioning of the internal market. The current legislation (Directive 90/167/EEC) on medicated feed sets out the conditions under which medicated animal feed may be manufactured, placed on the market and used within the EU. The Directive has been established before the creation of the internal market and it has never been adapted in substance, allowing discrepancies between the member states. The Commission has launched a proposal to harmonise implementation of the legislation, reduce financial and administrative burdens and support innovation. The proposal allows the anticipated medicated feed production, mobile and on-farm mixing, while at the same time establishing the parameters for these schemes.